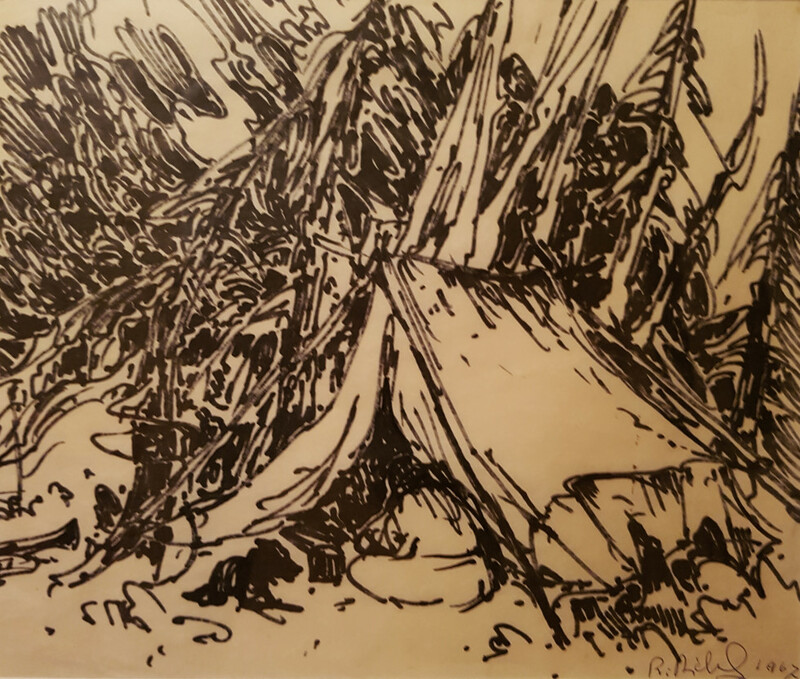 Browse Artists and Groups René Richard, C.M., R.C.A. 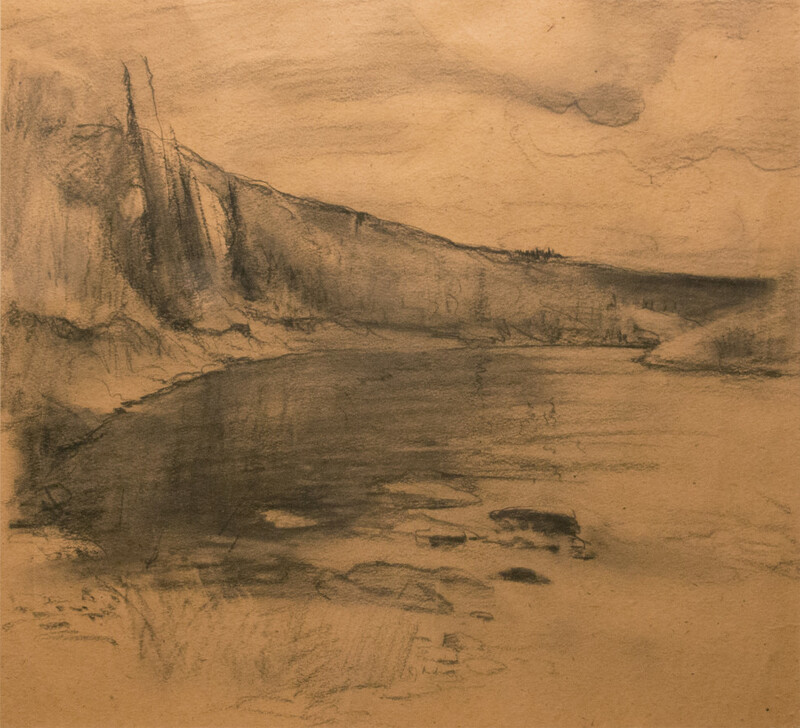 René Richard was born on December 1, 1895, in Chaux-de-Fonds, Switzerland. He arrived in Canada with his family in 1909. 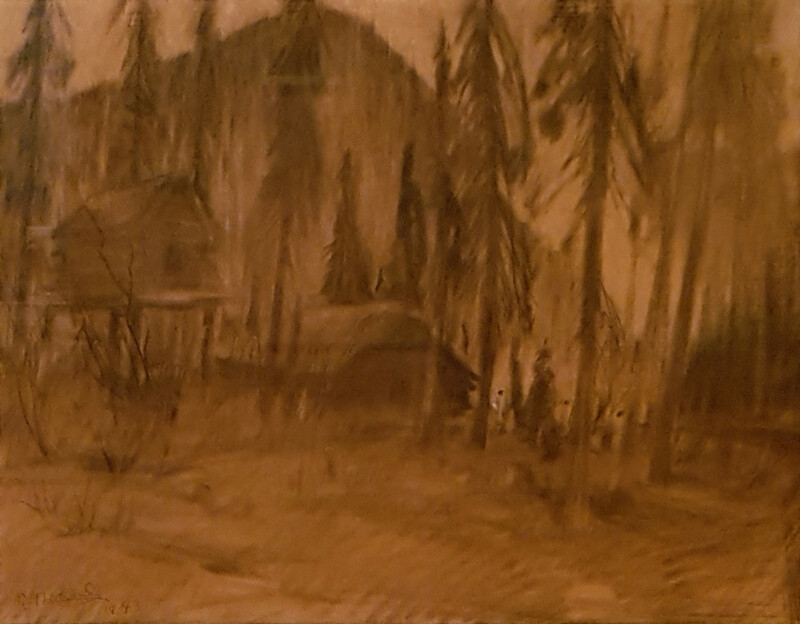 They lived in Montreal for two years then moved to Cold Lake, Alberta, where his father opened a general store and trading post. 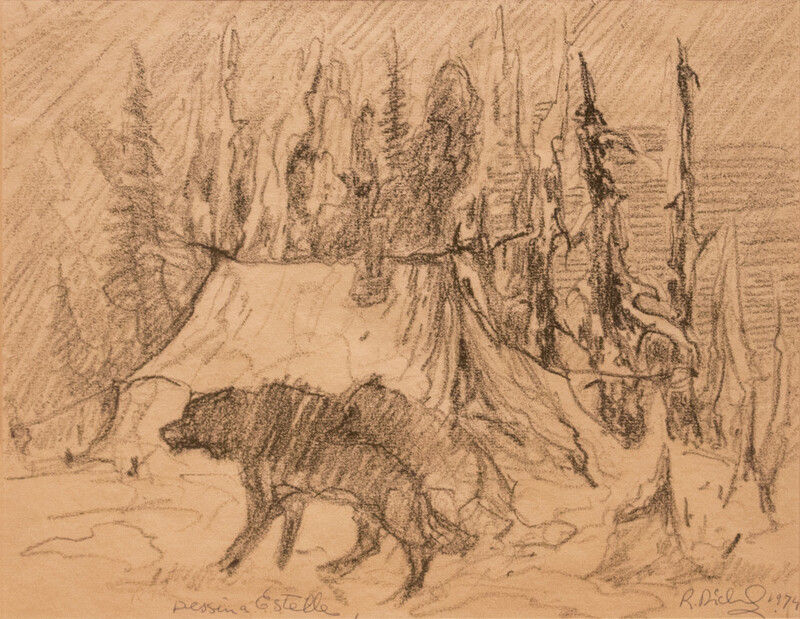 Richard developed a liking to the bush life in the Canadian wilderness, so much so that he became a fur trapper. 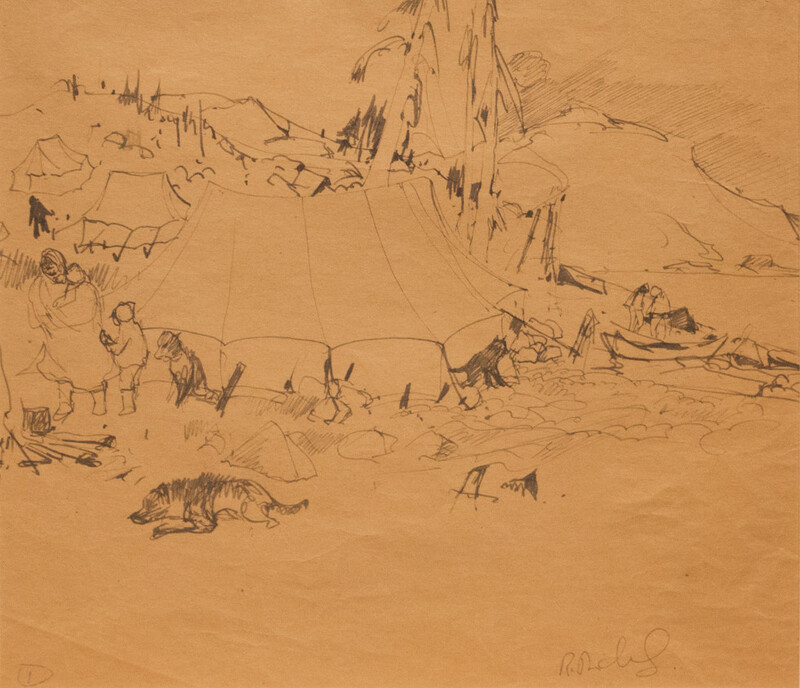 During his expeditions throughout northern Canada he sketched and made drawings while getting to know the land, its inhabitants and their lifestyle. 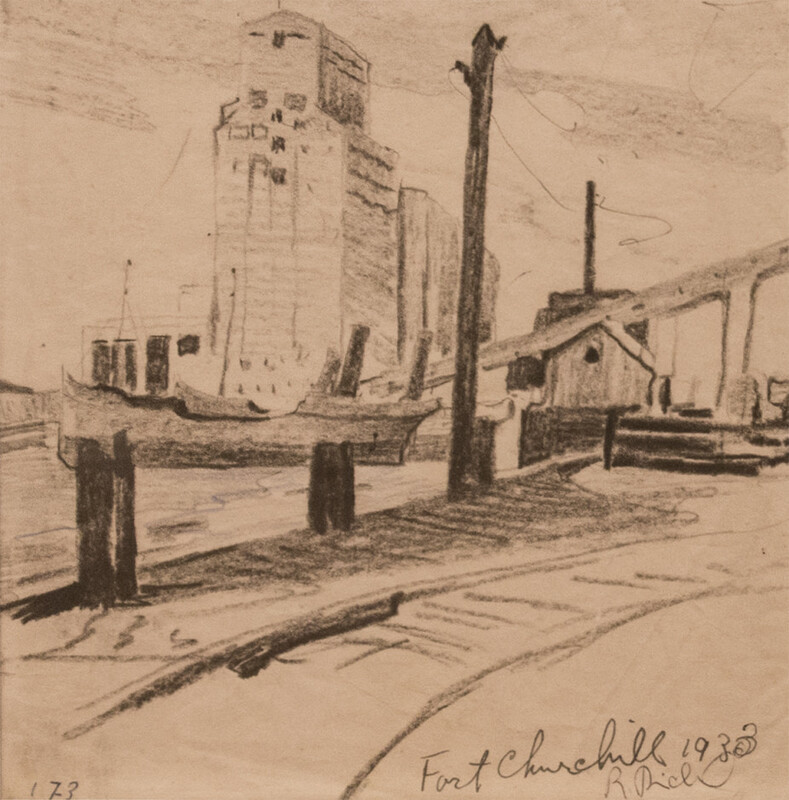 Richard wanted to go to art school, so in 1927 he left for Paris. There, he took lessons at the Académie de la Grande Chaumière and the Académie Colarossi from 1927 to 1930. 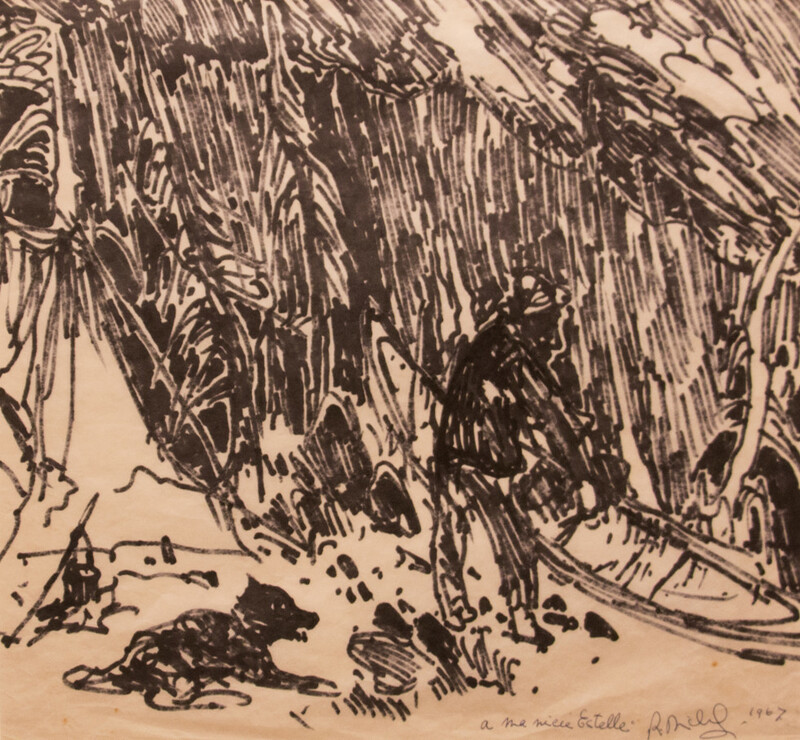 While in Paris he met the painter Clarence Gagnon, and the two became great friends. 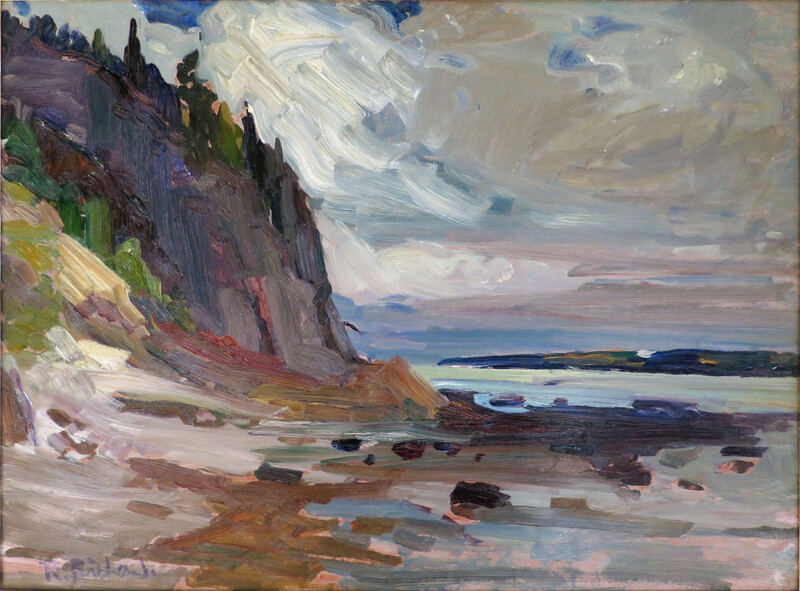 Gagnon encouraged Richard to become a full-time artist. 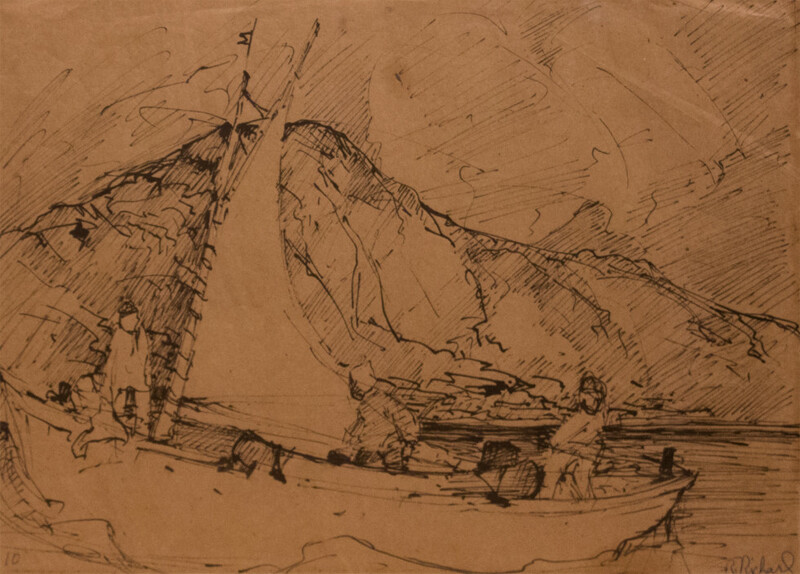 In 1930 Richard left France and returned to Alberta, where he resumed his life as a trapper and made hundreds of drawings on craft paper. 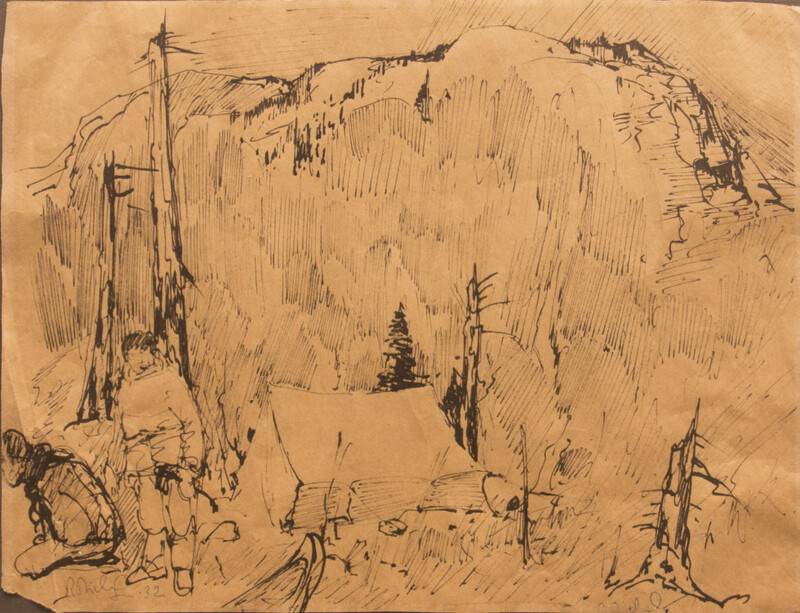 Between 1938 and 1942, Richard visited the Quebec regions of Île d'Orléans, Gaspé, Charlevoix, Mauricie and Abitibi. 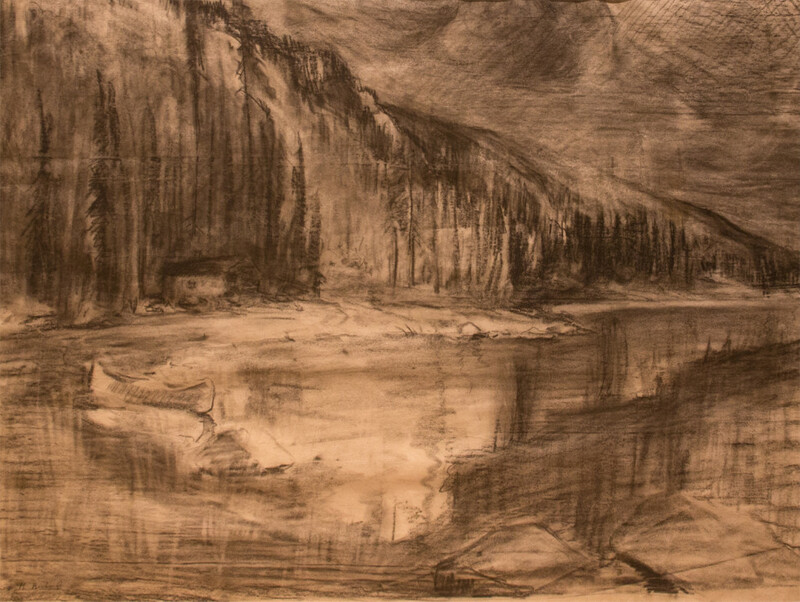 In 1942, he married Blanche Cimon and settled permanently in Baie St-Paul, QC where the sceneries reminded him of Switzerland and some parts of the Great Canadian North. 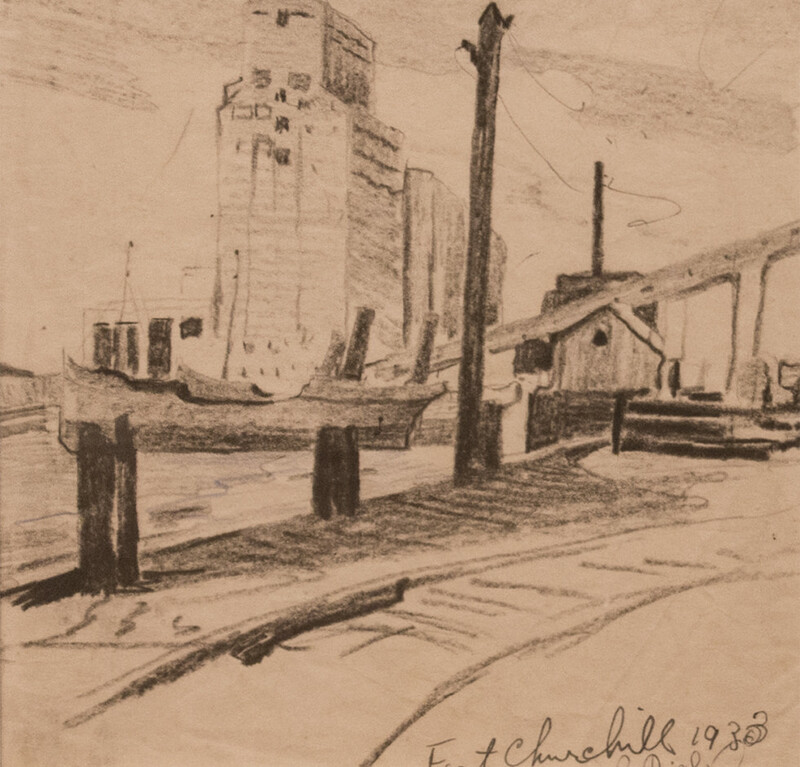 He dedicated most of his time to producing art and exhibited regularly in Quebec City and Montreal. 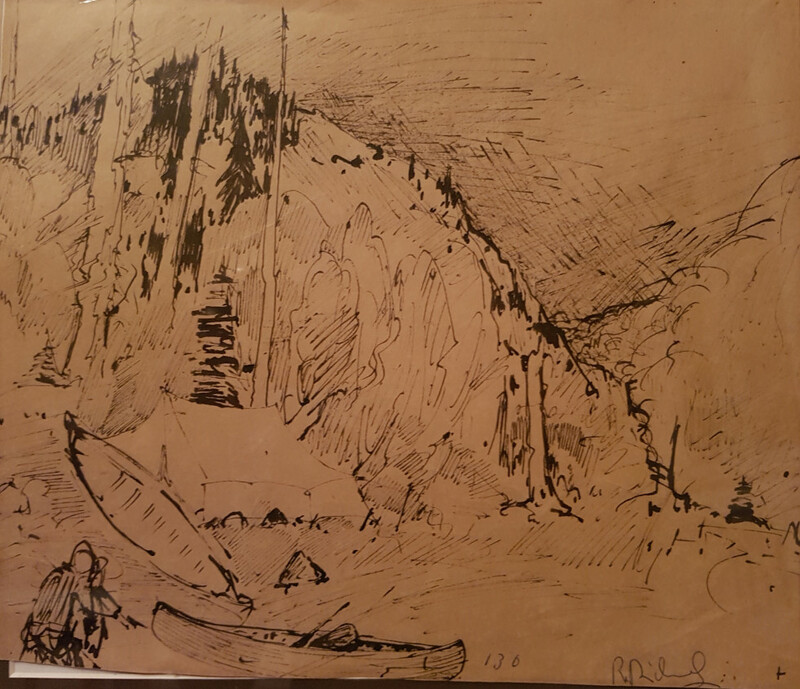 In 1952, Richard went on an inspiring expedition in the Ungava region of Northern Quebec. 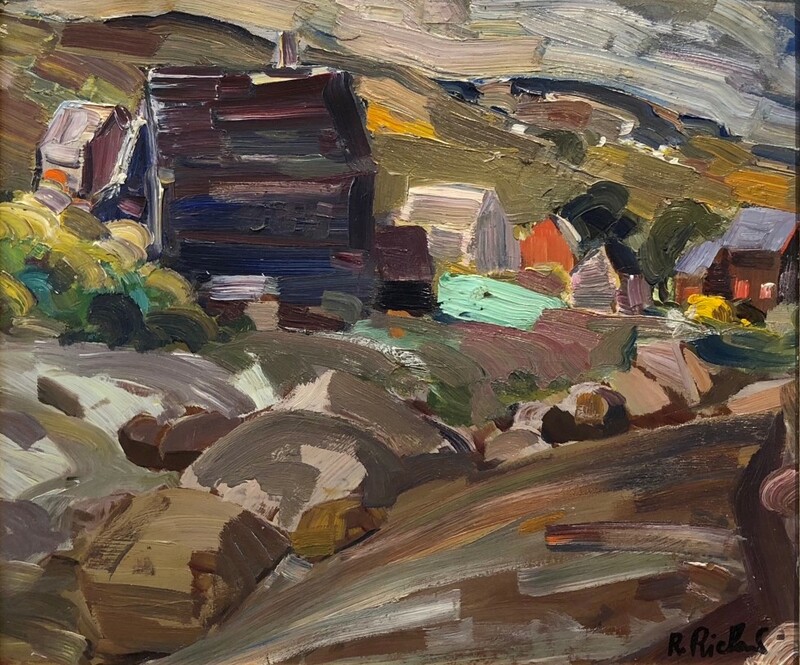 In 1973, Richard received the Order of Canada and became a member of the Royal Canadian Academy in 1980. 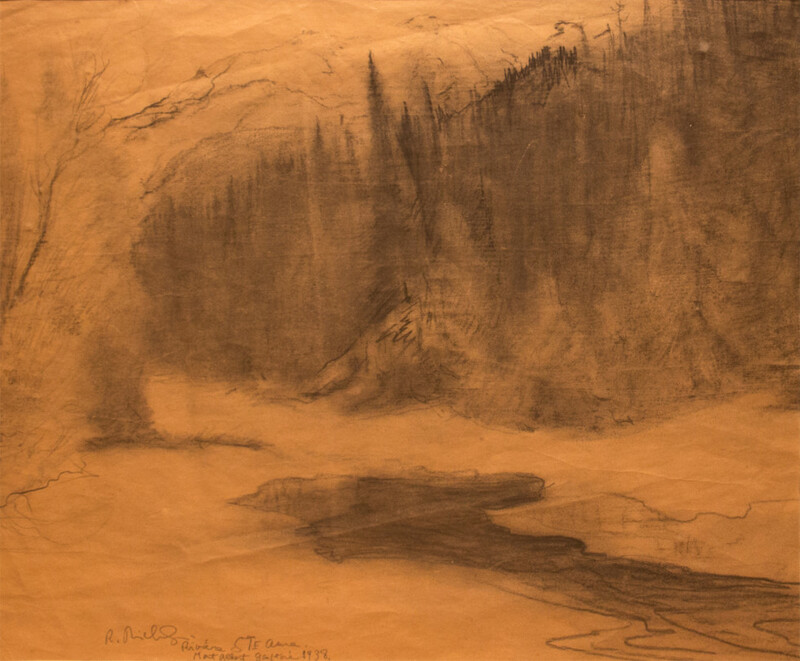 A retrospective exhibition was held at the Musée national des beaux-arts du Québec in 1967 and 1978 and a stamp commemorating Canada Day was made from one of Richard’s works from 1982. Richard died in Baie St-Paul, Quebec at the age of 86. Please send me more details about the following artist. René Richard, C.M., R.C.A. 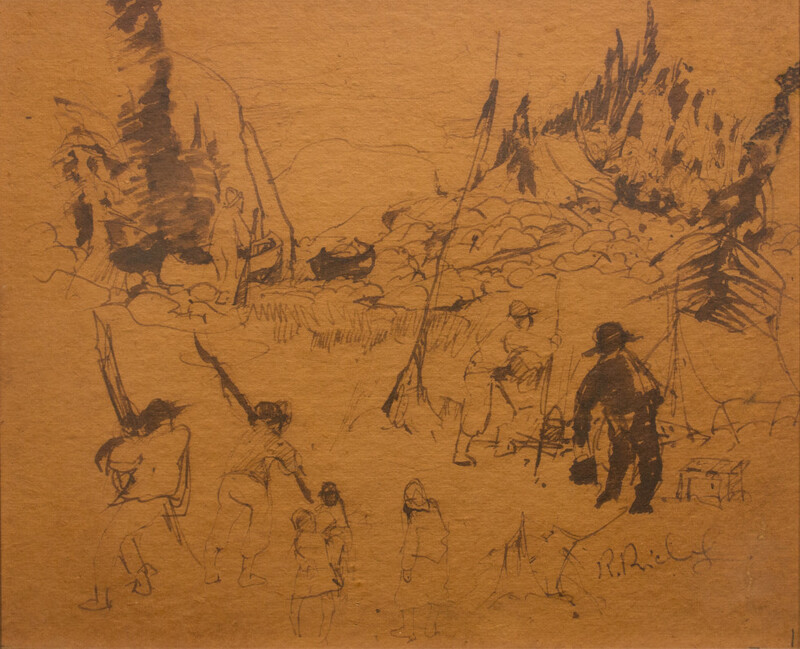 inscribed in pen by the artist, “Dessin à Estelle.” (recto, centre left). inscribed in pen by the artist, "à ma nièce Estelle" (recto, lower right). signed and dated “R. Richard / 1967.” (recto, lower right). inscribed "10." (recto, lower left). signed and dated “R. Richard / 1943.” (recto, lower left). signed “R. Richard.” (recto, lower left). 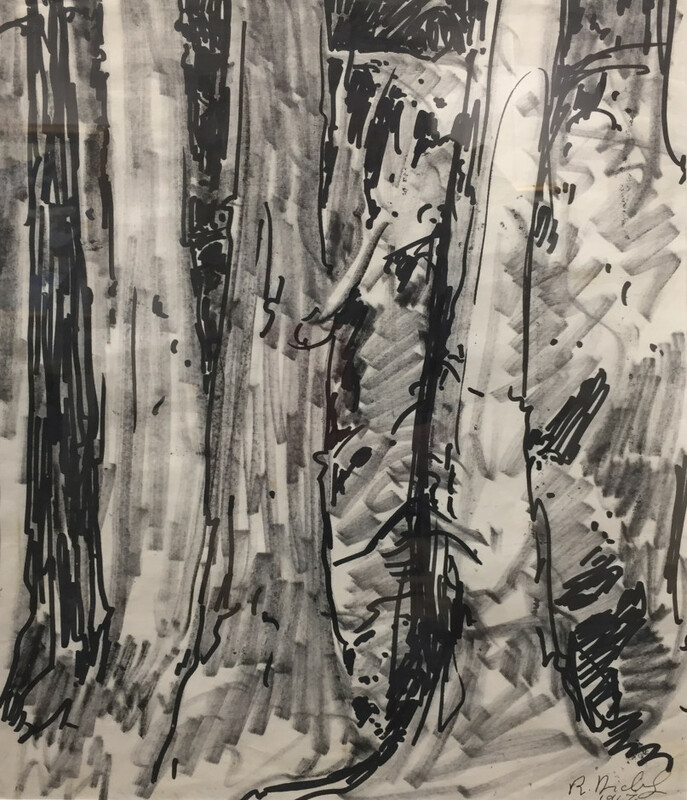 signed, dated and titled “R. 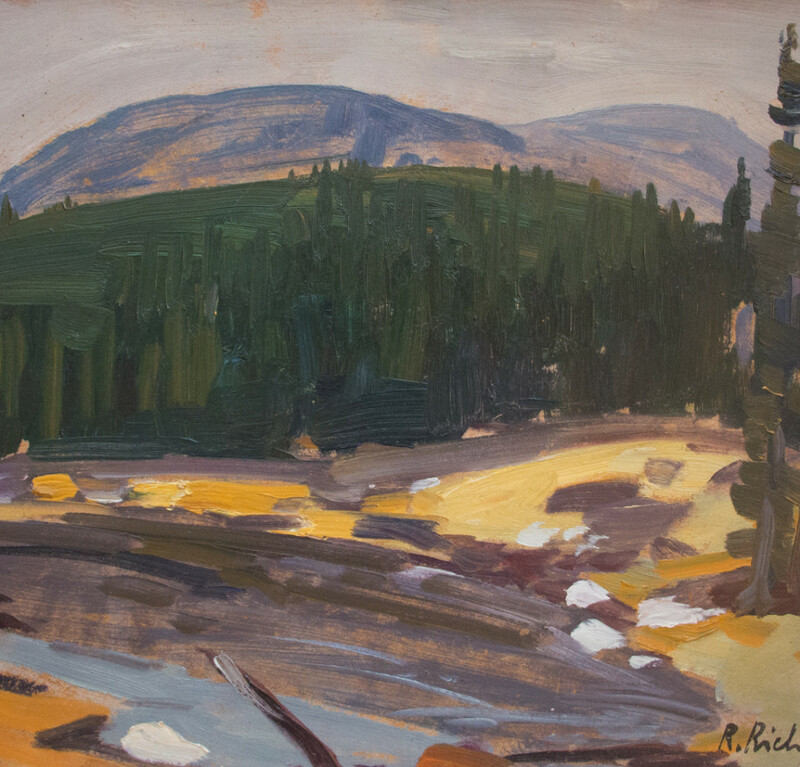 Richard / 1938 / Rivière Sainte-Anne, Mont-Albert, Gaspésie.” (recto, lower left). inscribed in pen “173.” (recto, lower left). signed and dated “R. Richard / 32.” (recto, lower left). signed ”'R. Richard.” (recto, lower left). inscribed in pen by the artist “1” (recto, lower left).